Brenton Avdulla’s key rides at Warwick Farm include Pandano in the $2 million Inglis Millennium. Dawn Passage and Accession appear to have a stranglehold on the inaugural $2 million Inglis Millennium but if there is to be an upset result, Paul Perry hopes Pandano delivers it. Dawn Passage and Accession were both emphatic last-start winners and the pair dominate betting on the Warwick Farm feature to such an extent that the next picks in the market are $15. Perry regards the two top fancies highly on exposed form and agrees they will be tough to beat but says a soft barrier draw in three and Pandano’s professionalism will hold the $16 chance in good stead. “Without a doubt they’re the ones to beat,” Perry said. Pandano is by Arrowfield Stud’s Dundeel out of a Snitzel mare and cost $130,000 at last year’s Inglis Classic Sale with Arrowfield boss John Messara liking the colt enough to buy back into the ownership. At his only start, Pandano camped on the speed and unleashed a good turn of foot to win by almost four lengths at Newcastle, although Perry is quick to point out Dawn Passage and Accession would have been at least as impressive under the same circumstances. “You couldn’t ask for anything more, it was good. He let down really well,” Perry said. Pandano tuned up for Saturday’s 1200-metre race with some pace work at Newcastle on Wednesday and Perry is happy with the horse’s preparation. 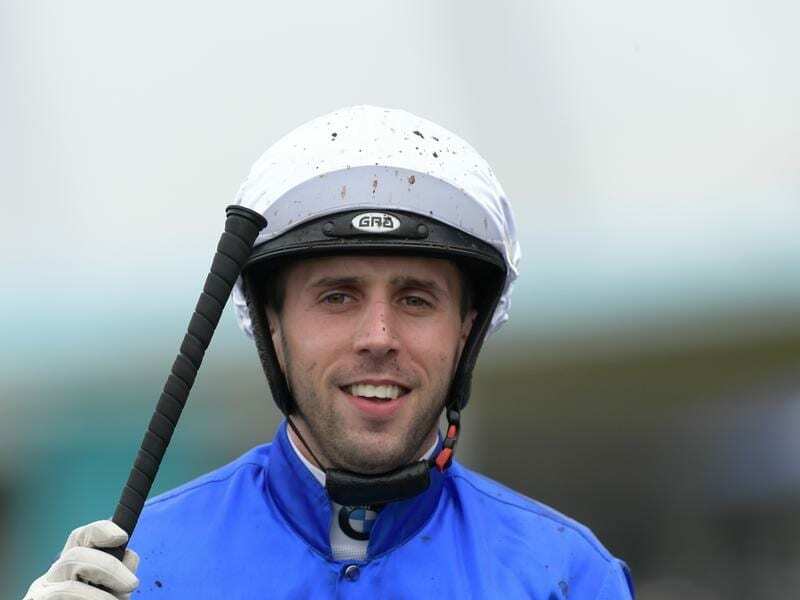 Brenton Avdulla takes the ride and with Dawn Passage and Accession both prominent in Golden Slipper betting, Perry expects to get a more accurate gauge on Pandano’s standing in the two-year-old ranks. “Saturday will tell us more,” he said. The Warwick Farm meeting will also feature the much-anticipated return of the Hawkes Racing-trained Estijaab who hasn’t raced since her Golden Slipper triumph last autumn. The filly, who won three of her four starts as a juvenile, missed the spring due to a setback then gave connections a scare when she competed in a recent barrier trial riderless after dislodging Avdulla shortly after the start. Estijaab is equal favourite for Saturday’s $1 million Inglis Sprint – 3YOS (1100m) along with Silver Shadow Stakes winner Fiesta who also resumes in the race.